SIGNARAMA’S Pylons attract pedestrian and commuter attention and make a positive impression to potential clients! 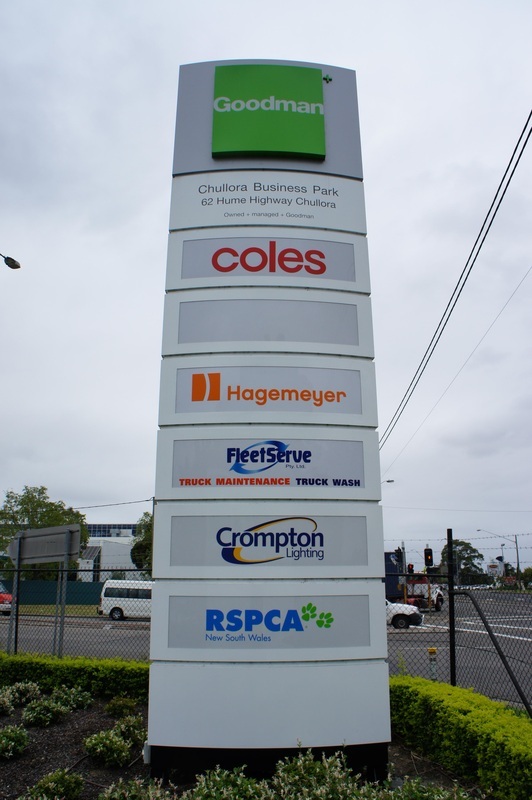 Pylon Signs can help direct traffic to your business location and communicate the message of a single business or multi tenant complex. These customized signs are very popular when it comes to identifying shopping plazas and industrial complexes, car dealerships, gas stations, restaurants, mini-malls, hotels, and retail locations. Pylons are durable, medium to large scale free standing structures. Often fabricated from aluminum and steel they are traditionally illuminated using florescent lamps to advertise your business 24 hours a day! Single or double sided, custom paint colors are available to complement your architecture or corporate identity. 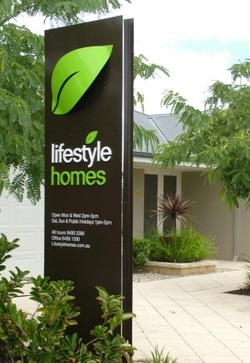 All SIGNARAMA signs are produced using premium products to promote UV resistance and durability. SIGNARAMA can design your custom pylon sign with many possibilities for size and appearance. Popular options include full color high resolution graphics or cut vinyl lettering, neon borders, even LED digital displays or changeable message boards to communicate your changing message. SIGNARAMA can also renovate your existing sign to match your changing needs. If your existing sign needs maintenance, such as lamp changes or ballasts, SIGNARAMA’s service technicians would be happy to assist. From consultation to installation and permitting, our sign experts at SIGNARAMA can assist you with finding your perfect customized sign to match your company's requirements. Our on site graphic artist will provide a scaled art proof of your logo or artwork as it will look installed at your location prior to manufacturing to make sure your sign is everything that you dreamed it would be. SIGNARAMA will act as a liaison with contractors, site managers, and Municipal Offices to ensure a trouble free project. Faces depending on Materials used. There is no guarantee of face life expectancy as climate conditions vary.